What can you do with chef training besides cook? Check out these career options. For a variety of reasons – health, family, mental wellbeing – some chefs decide that they need to get out of the kitchen and recharge their batteries. Regardless of whether this is a short-term break or a permanent career change, there are plenty of jobs for chefs outside the kitchen. 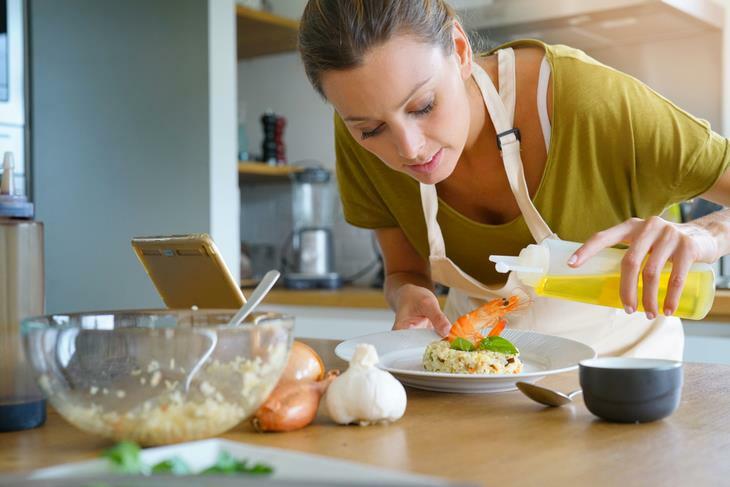 If you’re looking for career change ideas for chefs, alternative jobs for chefs, or just jobs for burnt out cooks, here are a few ideas to consider as you search for other ways to use your culinary expertise. 1. Food Writer/Critic: Join the likes of James Beard, Julia Child, Craig Claiborne, Ruth Riechl, Jonathan Gold, and countless others who have taken their passion for food and used it to launch a career writing for magazines, newspapers, websites/blogs, cookbooks, and/or promotional projects. Food writing isn’t just about criticizing the Italian restaurant down the street or the American bistro that just opened up; it’s about discussing food trends and translating a love of cuisine onto the page of a book, article, essay, or advertisement. 2. Product Developer/R&D Chef: If you find yourself constantly imagining and creating dishes that seem a little “out there” but always end up being delicious, then product development/R&D may be just what you’re looking for. Although this specialty area still works extensively in the kitchen, there is a significantly different focus to this type of occupation. Chefs who are part of R&D groups spend their days analyzing market/food trends, pinpointing unsatisfied consumer demands, and coming up with new dishes and products (or improvements to existing offerings) for large food companies or corporate restaurant chains. 3. Test Chef: Somewhat similar to R&D, test chefs are responsible for checking the work of others. These professionals are often hired by corporations, food magazines, cookbook publishers, and TV/film production companies to investigate new dishes/recipes. The primary role of a test chef can be focused on either quality control or fine-tuning a product offering to achieve a specific taste or texture. Obviously, this position is well suited for perfectionists, technically proficient cooks, and those with an exceptional palate who can distinguish slight changes in food and identify missing or bad ingredients. 4. 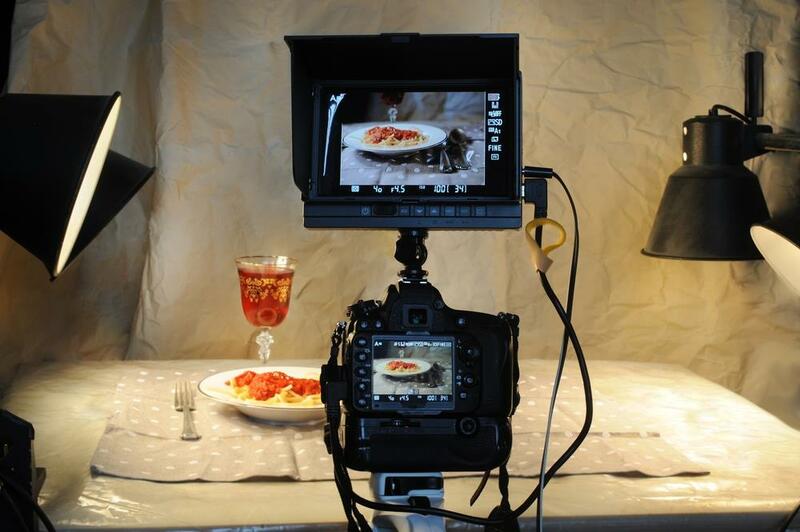 Food Stylist/Photographer: Put your artistic talent to work as a food stylist/photographer. This is one of the few alternative jobs for chefs where no one will be eating the food you work with. Combine your cooking knowledge with a flair for presentation to create delicious-looking dishes featured in a variety of mediums including film, TV, digital, and print. Learn the tricks of the trade and you’ll soon find out why those pancakes have Scotchgard on them (to keep them from absorbing the syrup), that’s not condensation on those apples (it’s spray deodorant), and what keeps that ice cream from melting during an hour-long photo shoot (it’s really mashed potatoes). 5. Restaurant Consultant: Don’t want to spend 12 hours a day in a hot kitchen but still love the restaurant business? Consider consulting and helping other chefs and restaurateurs make their dreams a reality by advising them on everything from kitchen organization to menu design, recipe planning, inventory control, staff training/management, and customer service. One of the best things about being a consultant is that you can contribute to short-term projects, working with a variety of people and restaurant concepts to keep the job fresh and exciting. As far as jobs for burnt out cooks go, consulting might be the most popular because the brief engagements can keep things interesting. 6. Teacher/Instructor: Probably the most common opportunity for a chef who wants to get out of the kitchen, there is almost always demand for instructors at culinary schools. If you are the type of person who enjoys passing along your wisdom and experience, gets a kick out of seeing exuberant students apply the techniques you have just explained, and/or appreciates a set schedule and predictable work day, teaching could be a perfect transition. Although it may require a bit of a pay cut – the average salary of a chef instructor is $54K compared to $59K for executive chefs* – the decrease in stress should more than make up for the lighter wallet. 7. Nutritionist/Dietitian: If you’re an ardent proponent of healthy eating and dedicated to helping people maximize their health and wellbeing by adjusting their diets, you may have a future as a nutritionist or dietitian. Recipe development and menu design will still be a key part of your daily responsibilities; however, in your new role you will be creating/selecting dishes based on your clients’ specific dietary needs and restrictions. You will also utilize your technical expertise and cooking insight to prepare dishes that are delicious and nutritious for folks who may not have any idea what celeriac, amaranth, or quinoa are. Be forewarned, pursuing a career as a nutritionist or dietitian will require further education and nearly all states require licensure. 8. 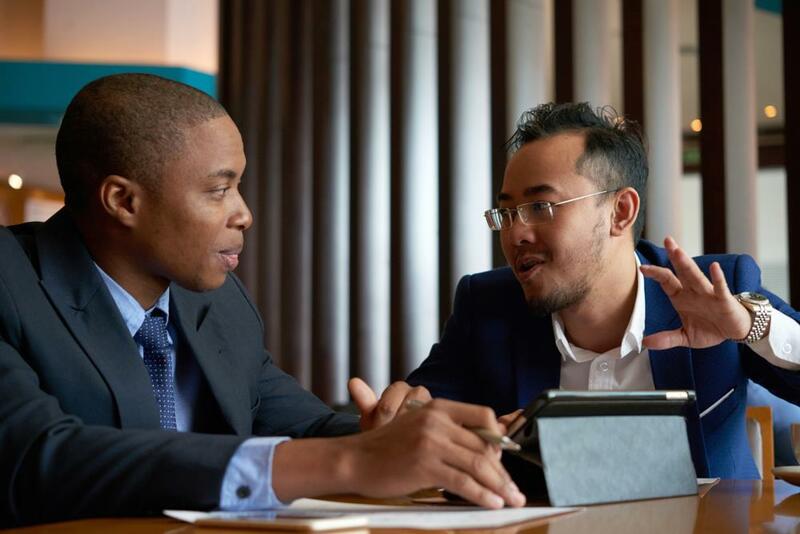 F&B Manager/Director: F&B leaders often oversee multiple outlets and excel in managing purchasing and inventory control, staffing, and scheduling operations. If that matches your skill set, then you may be a good candidate for this type of role. Being a “numbers person,” having an exceptional eye for detail, and boasting a dedication to revenue growth and profitability are equally important characteristics needed to be an effective F&B Manager. While you will be out of the kitchen (for the most part) in this position, this is not one of those stress-free jobs for chefs outside the kitchen because, ultimately, the success or failure of the business will lie on your shoulders. 9. Entrepreneur/Restaurant Owner: Your skills and experience as a chef (as well as a fair amount of capital) put you in a great position to strike out on your own, become self-employed, and open the restaurant, pub, café, or diner you’ve always wanted. Similar to taking an F&B manager/director position, you will not be eliminating all of the stress that came with your previous job. On the contrary – in most cases you will be adding the stress of business ownership: large amounts of debt and long hours to get your company off the ground. However, you will also be adding the pride that comes from chasing your dream and building an establishment from scratch. And once you have created a profitable restaurant, you can hand the keys over to a talented staff and live a life of leisure or begin the process all over again and focus on expanding your culinary empire. 10. Culinary Sales & Marketing Specialist: In a sales role, you can take your knowledge of specialty products and secure, service, and maintain accounts with distributors, hotels/resorts, and individual restaurants. Having a background as a chef will give you a leg up in this position because you will be able to speak the same language as your clients and have a much better idea of their needs than someone who never worked in a kitchen. Use your previous relationships with suppliers and partners you’ve worked with as a chef to open doors and make this a smooth and quick career transition. 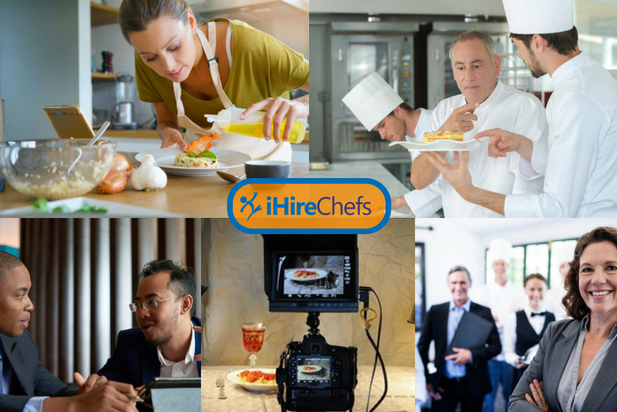 No matter what direction you choose to take your career, you’ll find plenty of great opportunities on iHireChefs as well as our other 55 industry-focused communities.